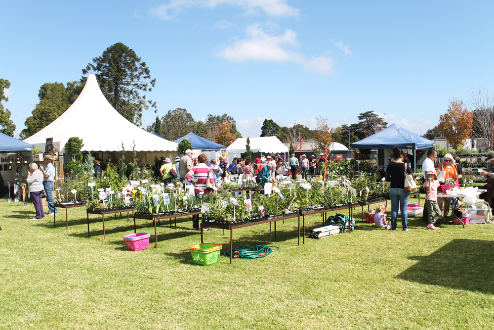 The second Pine Rivers Garden and Plant Fair will be held on the 27th and 28th of April 2019. The first Fair was really well attended and the feedback extremely positive. Keeping the country feeling to the Fair, and allowing the fur babies back will be fun. Food, entertainment, guest speakers and many garden and plant stalls to choose from. We will be keeping the entry at $5 again and hope to see you there again. Access can be made for wheel chairs and people with disability. See our main website and contact convenors for help. Distances are approximate. When planning your trip please check open times etc by following links to National Public Toilet Map. 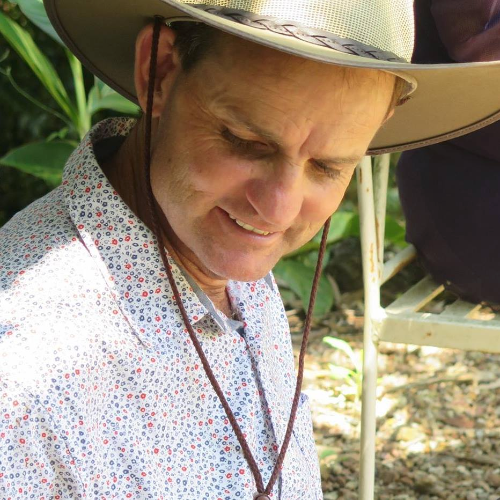 Russell Young has a wealth of experience 28 years in fact and is very well known in South Eastern Queensland as a very knowledgeable plants man. Russell will be speaking on both days as well as selling some of his unusual plants. He is a very hands on garden mechanic and loves what he does, which always shows in his talks. Come along to enjoy exploring 122 great stalls selling everything gardening. Our exhibitors are specially chosen to offer something for every budget including unusual and collectable plants plus a great selection of interesting species more familiar to you that will be hard to resist. And, it's not all plants on sale with seeds, tools, books, garden ornaments and pottery also available. We have two marquees this year for all the speakers. Arno King, will speak on integrated sub tropical and cottage plants. Russell Young will give the low down on new releases. Carol Kerkin and Barb Wickes will speak about cottage gardens and all the lovely plants you can use in our climate. Peter Storer will present a power point presentation on getting bird life into your garden. He recreated his land to go from a handful of birds species to around 200. Make a great day of it! This year we are having Fairies in the garden, so if you wear wings or decorate your hat, we will give you something to take home. Something nice and gardeny. Dogs are welcome on leashes and if you dress your 4 legged friend up, he/she might take something nice home as well. "Disclaimer: Please note that all information shown has been provided by the owner of the garden or event coordinators and has not been verified by My Open Garden. See our full terms and conditions for the use of this site. You're currently not logged in! Please enter your password to get full access to the website. ... or please simply close this box to continue on to the listing anyway.